US-firm Exos Aerospace is set to conduct the first test flight of its re-usable rocket later this month. 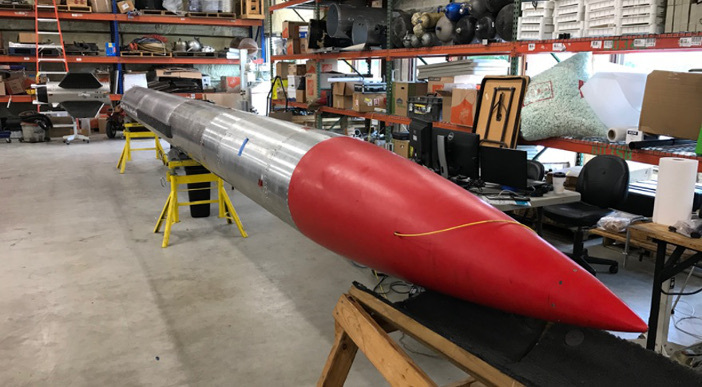 The Texas-based firm plans to launch its reusable Suborbital Autonomous Rocket with GuidancE (SARGE) at Spaceport America in New Mexico on the 25 August. The company has completed the design, build, and fully integrated hover testing of SARGE, and has received a license to launch for the first test flight. If the test flight is successful, Exos plans to use SARGE as a basis for a launch platform for its first orbital-class vehicle. The company aims to provide frequent, suborbital access to space for micro, nano and cubesat developers to test their satellites. John Quinn, chief operating officer of Exos said, “We are excited to enter into the testing phase of our SARGE platform and to reveal our plans for our Jaguar reusable LEO launcher. Since our SARGE rocket is designed for reusability, it is proving to be an excellent risk mitigation platform for our orbital technology development program and helping to drive space access costs down. SARGE has been designed to support up to 200 test flights and be sufficiently robust to provide data on how weight can be reduced from a launch vehicle that is intended for repeated use, Quinn added.